We offer Call Taxi service in Hyderabad & Secunderabad and car rentals in Andhrapradesh. You can Relax in our chauffeur driven cars. Our chauffeurs are smartly dressed, courteous, discrete and attentive to your needs. Our service is finely tuned to meet the demands of the most discerning passenger. 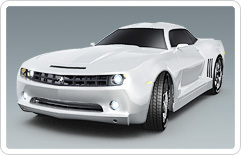 MM Travels is one of the leading travel agency in the twin cities of Hyderabad and Secunderabad for car rentals. We own a fleet number of cars from different brands categorized as Economy and Luxury. Vehicles provided with well-experienced drivers. No time for submitting the form ? ?